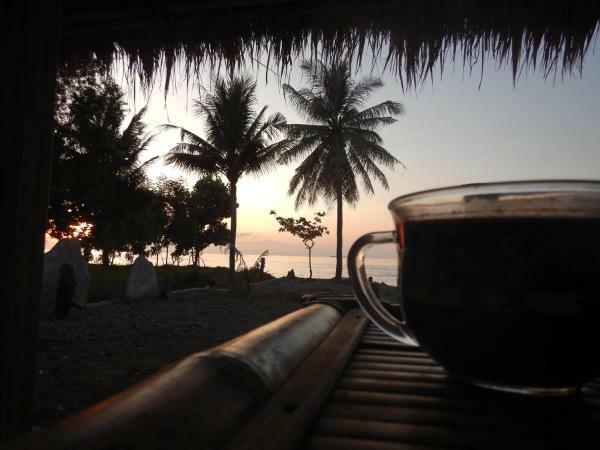 Rara Inn features accommodation with a garden and free Wi-Fi, and is located in Lombok. Some units feature a dining area and/or a terrace. A halal breakfast can be enjoyed at the property. Boasting an outdoor swimming pool, Bandini Riverside Cottage is set in Lombok and also provides a garden and a terrace. Featuring a bar, this 3-star hotel has air-conditioned rooms with a private bathroom. RedDoorz Plus @ Pejanggik Mataram offers accommodation in Lombok. With free Wi-Fi, this 2-star guest house offers a 24-hour front desk. All guest rooms in the guest house are fitted with a TV. Guest rooms include a desk. Located in Lombok, Tiara Homestay offers accommodation with a terrace and kitchenette. All units include a private bathroom and have air conditioning, a TV and a fridge. There is a seating and a dining area in all units. RedDoorz Plus @ Cakranegara offers air-conditioned accommodation in Lombok. With free Wi-Fi, this 3-star guest house offers a 24-hour front desk. All units in the guest house are equipped with a TV. All guest rooms feature a desk. Located in Lombok, Bale Beleq Homestay provides accommodation with free Wi-Fi. There is a seating and a dining area in all units. Guests at the homestay can enjoy a halal breakfast. Tanjung is 49 km from Bale Beleq Homestay. Located in Lombok, Bunga Rosa Homestay features accommodation with free Wi-Fi. There is a seating and a dining area in all units. A continental breakfast is served every morning at the property. A car rental service is available at the homestay. Situated in Lombok, East Lombok Dive Hotel features a private beach area and free bikes. Featuring a 24-hour front desk, this property also provides guests with a restaurant. Every room comes with a terrace with sea views and free Wi-Fi. Situated in Lombok, Faris Cottages offers accommodation with access to a garden. Complimentary Wi-Fi is offered. Some units have a seating area and/or a terrace. Guests at the lodge can enjoy an Asian breakfast. Gawar Gong Homestay is located in Lombok. Complimentary Wi-Fi is provided. A terrace with mountain views is offered in each unit. A continental breakfast is served each morning at the property. Haris Bungalow is located in Lombok and features a garden, terrace and shared lounge. Among the facilities of this property are a restaurant, a 24-hour front desk and an ATM, along with free Wi-Fi. Situated in Lombok, Neptunus House offers a terrace. Free Wi-Fi is available. At the guest house, each room has a wardrobe. Every room has a private bathroom and a shower, while certain rooms are fitted with a balcony. RedDoorz Plus @ Airlangga Mataram offers accommodation in Lombok. With free Wi-Fi, this 3-star guest house offers a 24-hour front desk. Guest rooms in the guest house are equipped with a TV. 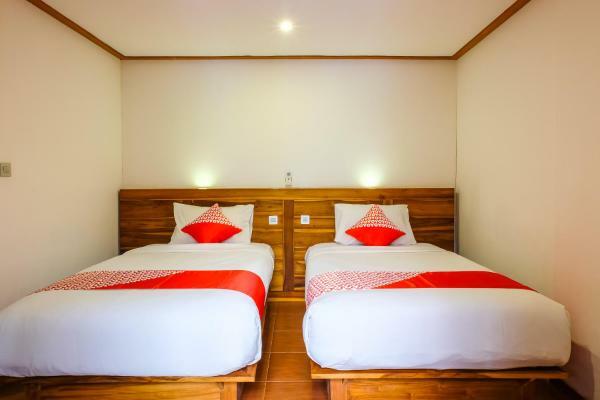 Offering free Wi-Fi, RedDoorz Plus near Kuta Beach Lombok is situated in Lombok. The property features a restaurant. At the guest house, the rooms include a desk.